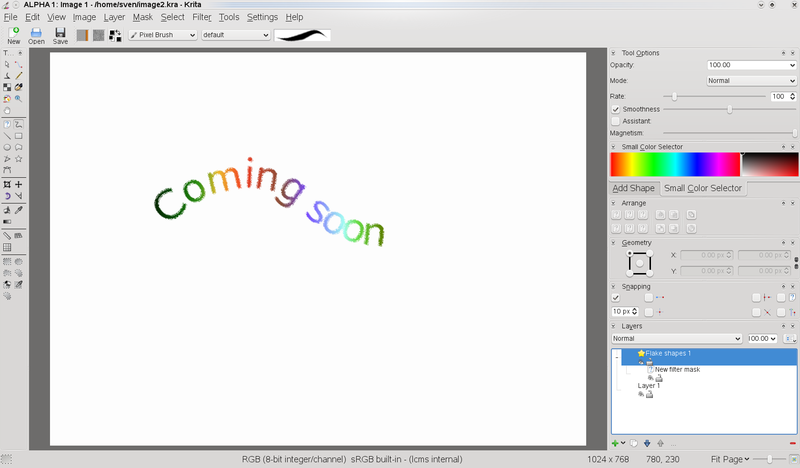 Today it’s ten years since Matthias Ettrich proposed the idea to write a full-features raster graphics editor, which started the development of the application that we know as Krita today. It’s interesting how Krita changed over the years and how different developers and their visions influenced the development process. Even though the original idea was to develop a replacement for the Kimp hack (which caused a controversial discussion at that time), development went into it’s own direction. When I joined Krita in 2004, Boudewijn had just picked up development and the new vision was to develop a painting app. Soon more developers with other motivations joined the team and the other aspects like photo editing were added. A bit funny is that I’m neither an artist nor a photographer and I didn’t have a use for an image editing app at that time. I just wanted to work on an exciting project with a nice team, which turned out to be the case for Krita. Meanwhile I have become a lot more interested in computer graphics. Since then a lot of progress has been made. This is a screenshot I made, just after I finished my second patch (implementing the first dockers) for Krita back in 2004. At this point Krita couldn’t do much more than the really simple painting. From there development really took off and lots of features got added, leading to three releases with KOffice 1.4 (preview), 1.5 and 1.6. 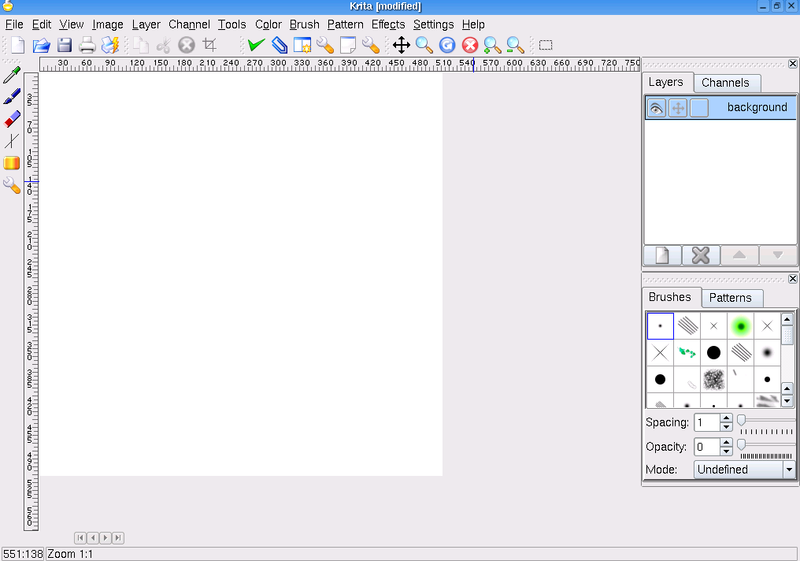 Krita also won the 2006 Akademy Award for Best Application. After that we entered the very long KOffice 2 development cycle, which brought lots of changes and new features to Krita. The good thing is that the next release will happen in a few days and the next versions will be out faster again. So what will the next 10 years bring? It’s impossible to predict where it will go in the next years. Even though a larger vision of a painting app exists, Krita is mostly driven by the interests of it’s developers. I think there are enough ideas flying around at the moment to keep us busy for the next twenty years. Many things will be discussed on the next KOffice meeting in two weeks, including performance, brushes and collaborative editing. You are currently browsing the Sven's Blog blog archives for May, 2009.